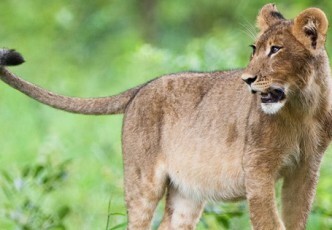 Uncover the wildlife treasures in this surprising Southern African gem. The Western region of the country has the spectacular Victoria Falls, or Mosi-Oa-Tunya, the “Smoke that Thunders” in the local dialect. The Falls are an UNESCO world heritage site. Close to the falls is Hwange National Park, consisting of over 14 600 kilometres of classic African desert and sparse woodland. 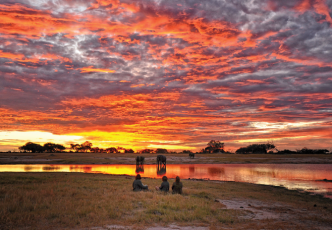 The incredible game viewing opportunities on offer at Hwange are enough to leave even the most jaded traveller speechless. Travelling from the West into the centre of the country finds the stone city of Great Zimbabwe, the namesake for the whole country. Constructed from granite blocks that have stood for centuries, this medieval marvel reveals the rich history of Zimbabwe. 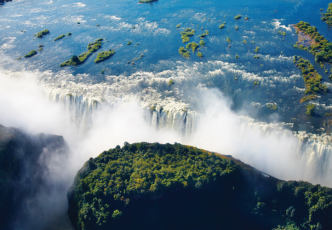 With so much to offer, Zimbabwe is calling for travellers to experience it. 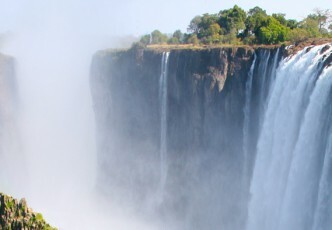 Enjoy an awe inspiring tour of the majestic Victoria Falls, also known as “The Smoke that Thunders”. Accompanied by your nature loving guide, you'll be taken on a guided walking safari that takes you through the magnificent spray-drenched rainforest. 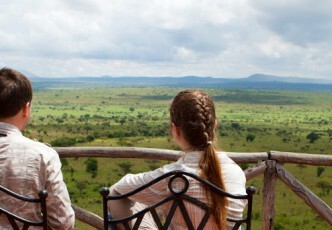 Discover the highlights of Zimbabwe. This unforgettable journey combines the beauty of Lake Kariba and Hwange National Park with the history of the Great Zimbabwe Ruins and Matoba National Park. 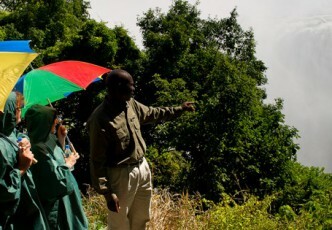 Explore Zimbabwe’s rich history on this 10 day Classic Zimbabwe tour. 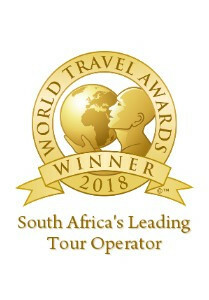 The tour includes all the historic highlights of Zimbabwe and combines it with a safari in Hwange National Park, visits to the Great Zimbabwe Monument and Bulawayo (Motopo Hills), as well as a guided tour of Victoria Falls. Explore the historic Victoria Falls village and its wild, unspoiled surrounds in Zimbabwe, and experience the most classic, awesome views of this world-renowned natural phenomenon, the thundering Victoria Falls. This gem of a holiday starts with a safari in Hwange National Park where endless blue skies arch over a golden-green world teeming with wildlife. Then, take in the powerful waters of the Zambezi River as it cuts a vast gorge into a flat plateau to form the spectacular Victoria Falls. 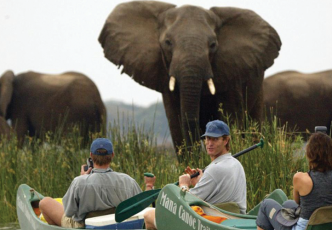 This 4 day safari getaway is an easy add-on from Victoria Falls, and enables you to chart the course of this fantastic wild African river as it travels through the picturesque Lower Zambezi Valley. Mana Pools gives sanctuary to the largest hippo and crocodile population in Zimbabwe, as well as an abundance of other game and bird life. 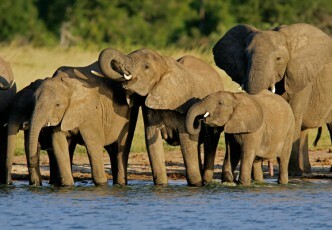 From Victoria Falls, follow the course of the mighty Zambezi to the holiday paradise of Lake Kariba. 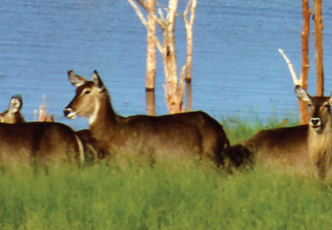 Covering over 5 500 square kilometres, Lake Kariba appears as a flourishing inland sea, dotted with islands and teaming with aquatic and shore life. Spectacular views and dramatic sunsets create glimmering, golden waterscapes that rejuvenate and inspire the soul.